I enjoy the ending of a hot summer and to go fishing after it finally became a little colder again in Germany. 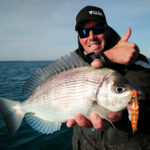 The decreasing temperatures are the beginning of a very good time of the year: predator fishing is really viable now. We were fishing for the first time on a big barrier lake, called « Muldenstausee », into with a high amount of sediments are washed in. 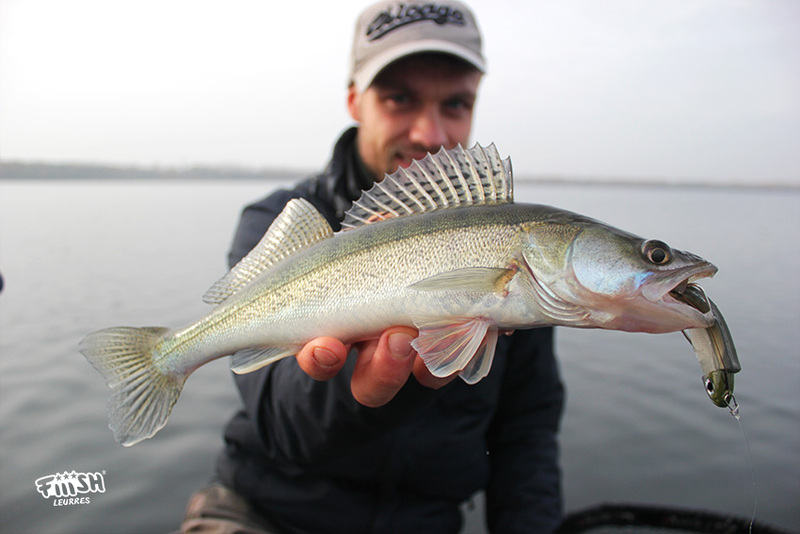 Good conditions for pikeperch, but also pikes and big catfish can be caught in the lake. At 9 in the morning, we arrived at the water on a wet and cloudy day with only little wind. There were about 6 boats on the lake and all of them were fishing vertically, but we decided to fish actively. After 1 hour of slowly jigging from the boat, my partner had the first strike and we knew we were on the spot. 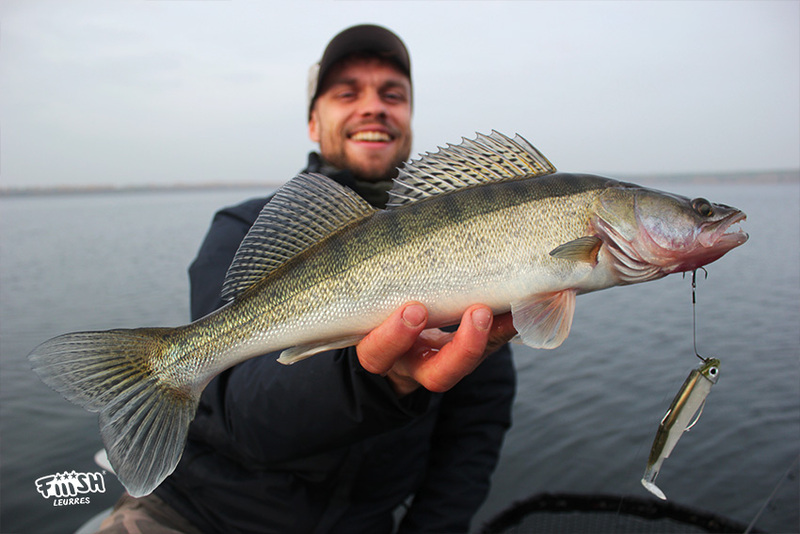 At a depth of 10 meters, the first pikeperch was caught and we knew where to fish on. Ignoring the murky water and the cloudy weather, I trust in the color Kaki, because pikeperch have very good vision underwater. This is also why fishing with Fluorocarbon is a must. Jigging the 12cm Black Minnow quite slow, with small sized jumps above the ground, it did not take long until I was rewarded with the first little pikeperch. To be sure to make use of any bite, I was fishing the Black Minnow with an additional tiny treble hook. The fishing went on and we caught another short pikeperch, when the first good fish hit the lure: a 63cm pikeperch that was fighting pretty well. To have maximum sensitivity and casting distance, I was fishing the Perfect Link 8x Powerbraid with only 10lb. This made it even harder to land the next fish which was extraordinarily fat. 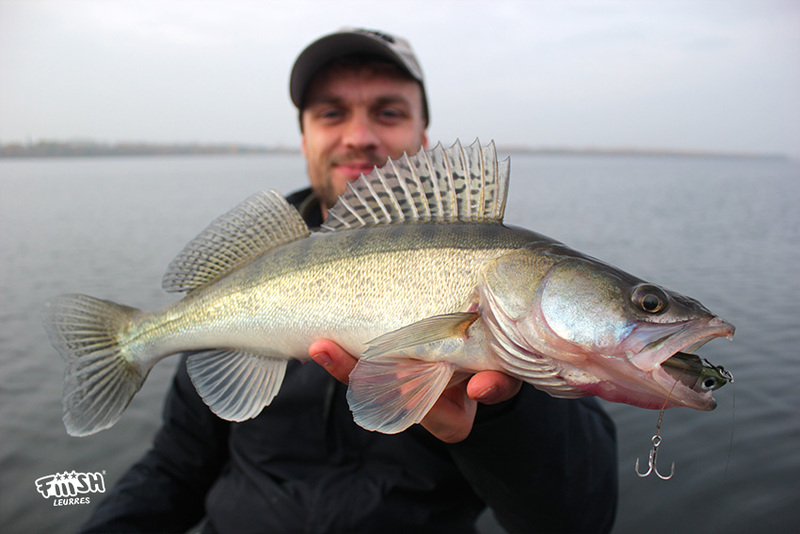 Another amazing pikeperch, caught on the 12cm Black Minnow Kaki. My partner was able to land another nice pikeperch as well and we finished the day with altogether 8 fish. What a great autumn-fishing-day, that will stay in my mind for sure.